Seymour-Screen Excellence's screens are the most advanced available. Using proprietary Enlightor, Ambient-Visionaire, and Radiant screen fabrics, they provide a flawless picture quality, finally enabling you to get the best from both your projector and your sound system in any room. The Enlightor materials feature 10 to 100 times more holes per square inch than perforated vinyl screens, can support resolutions past 4K, do not have a minimum seating distance, do not moiré, and do not require you to compensate with EQ. No longer will your theater suffer from having the most critical speaker in the room - the center channel - located near the floor and non-identical to your main channels. 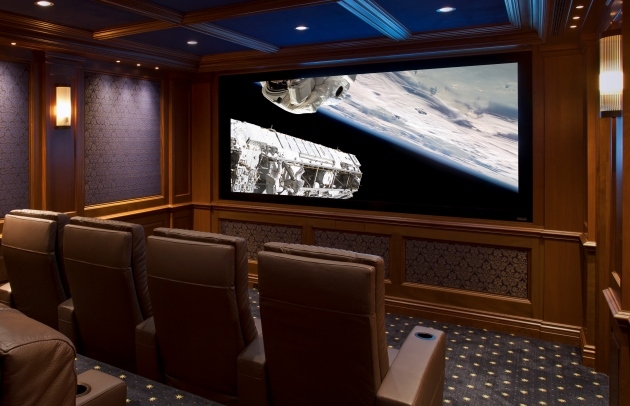 Once you become spoiled, you'll never see another home theater the same. Our new Ambient-Visionaire line of ambient light rejecting screen materials are now available. With billions of nano-mirrors per screen, dithered at the appropriate viewing angle and layered for ambient light absorption from any angle, the Ambient-Visionaire screens cannot sparkle or color shift your image and have been tested and found BEST IN CLASS. Finally, our Radiant line of white and gray surfaces reflect a perfectly uniform, color-correct image for dedicated rooms that aren't using an acoustically transparent configuration. The Reference frame is a bold, 3.8" wide (2.5" deep) border of Infinite Black velvet, available with the Enlightor-4K acoustically transparent screen material with the grip channel attachment method. The eight-piece frame scales up to 300" wide. Options include curving and magentically removable masking panels. The Series-3 frame is a mid-size, 3.3" wide (1.6" deep) border of Infinite Black velvet, available with any all screen materials. If chosen with the Enlightor-4, the Series-3 has a griptrack tension system. Radiant White uses Velcro. The other screen materials feature o-ring and grommet attachment. The four-piece frame scales up to a 210" wide image. Options include curving and magentically removable masking panels. Our economical Series-2 fixed frame screens feature a thinner 2.6" wide (1.3" deep) border of Infinite Black velvet, available with either the Enlightor-Bright, Ambient-Visionaire, or Radiant White screen materials. The four-piece frame scales up to a 140" wide image. Our new premium Series-1 fixed frame screens feature a contemporary yet videophile-approved 1.5" wide visible border of Infinite Black velvet, available with either the any of our screen materials. The four-piece (1.6" deep) frame with removable trim scales up to a 200" wide image. The VistaCurve is either our Reference or Series-3 frame in a CinemaScope widescreen format for a no-compromise reference standard in cinematic immersion. The only available full-closing motorized, curved, masking screen gives you the ultimate in cinematic immersion and best-practice acoustics. With the Enlightor-4K screen and silent, acoustically transparent masks, there is no minimum seating distance for a sophisticated, reference-quality home theater free from compromise. The world's only retractable screen with fabric velvet borders. Our patented stealth Uni-tab tensioning system hides the majority of the cables and hardware, creating a perfectly flat image without the huge hourglass shape and hardware penalty in other tab tensioned screens. Available with our Enlightor-4K acoustically transparent screen material for a reference quality image without a minimum seating distance. Options include custom wood finishes and is available as a Multi-Format Retractable (MFR) with motorized side or top masking. 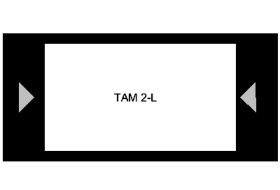 Using the slimmest borders in the industry, our TAM 4 constant area screen gives the maximum image and acoustic space into any installation. Starting with the most refined masking system available, we added a second set of retractable acoustically transparent masks while keeping the profile and depth the same. 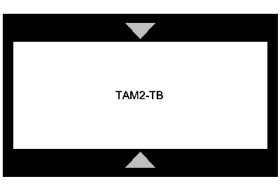 With a native 2.07:1 ratio, the TAM 4 displays the same area for 16:9 as well as 2.40 content giving you the best of all worlds. 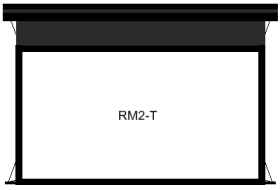 No longer will you be concerned or feel cheated that the director's choice differed from your screen configuration. By simply activating the motorized masks your TAM 4 gives you the same reference presentation the film was mastered in, without bias to its artistic choice. Our Reference fixed frame screen with motorized, 2-way lateral masks for a constant height system for any aspect ratio. It provides increased scale for those epic, cinematic films with independently controlled quiet acoustically transparent masks. Uniquely, our motorized masking screens maintain the thin 3.8" profile to increase the available image area and decrease the visible hardware on that most important wall in the room. 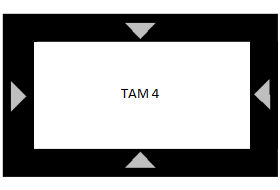 The TAM system is also available in a 2-way, constant-width configuration with top and bottom masks. For installations that are width-constrained or shere a simpler, set-and-forget, 16:9 aspect ratio is desired to match the projector. 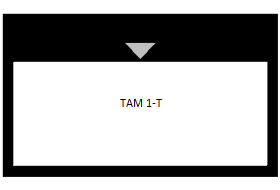 The TAM system is now available in a 1-way, constant-width configuration with a top mask for an effective yet economical solution. For higher-up installations that are width-constrained or where lens memory or scaling can keep letterboxed images pinned to the bottom. The award winning TAM system was shrunk and costs such as giant heavy crates for shipping engineered out of the product. Still custom made in our U.S. factory, the Trim screen brings masking to an entirely new price class. The Enlightor-PRO screen is woven at twenty feet tall, giving us the ability to make small-commercial, or mega-residential sized screens and bring our state of the art seamless acoustically transparent screen technology to mastering studios or your home. They can be custom banded, stitched, grommeted and shipped on a stage foot, or as a material option on our largest Reference Fixed Frame screen sizes. Your favorite movies were likely mastered on this material. Enlightor™ fabric Uncompromised image and sound quality for 4K resolutions and beyond. Ambient-Visionaire™ The most advanced ambient light-rejecting optical screen technology. Non-AT. Radiant Uniform, color-correct diffusion screens in white or gray. Non-AT.